Photo courtesy of Mrs Beverely Matthews (<Beverley.Matthews@tonbridge-school.org>) the Tonbridge School Archivist. 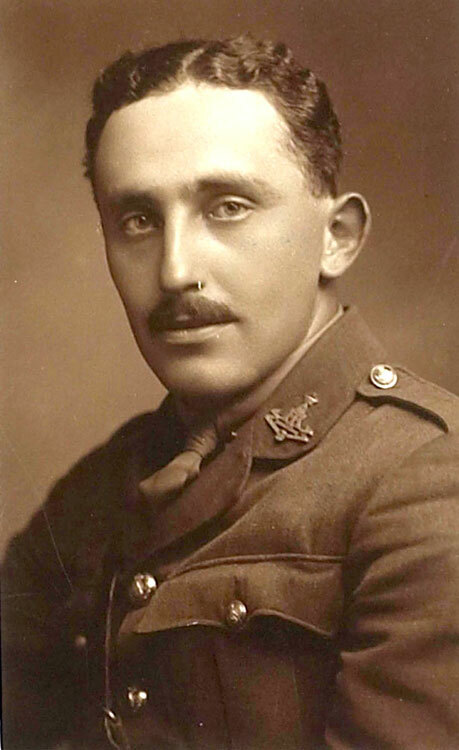 A website set up by Tonbridge School includes this photo in a Book of Remembrance, together with other biographical details. Captain, 6th (Service) Battalion, Alexandra Princess of Wales's Own (Yorkshire Regiment). 2nd son of the late Henry Elliot Currey, Solicitor, by his wife Elizabeth Grafton (8, gainsborough Mansions, Queen's Club Gardens, West Kensington), daughter of the late Re. Robert Grafton Rosseter, of Ilford manor, Lewes. b. Lewes, co. Sussex, 12 December 1891. educ. Tonbridge School, and was subsequently a Clerk in Barclay's Bank, Vere Street. Was gazetted 2nd Lieutenant 6th Yorkshire Regiment 17 September 1914. Promoted Lieutenant 13 March and Captain May 1915. Went to Gallipoli 1 June 1915 and was killed in action at Salt Lake 22 August.